Singapore Cleaning Service - Blog: What Are The Best Ways To Clean Away Dusts? For starters, we would recommend that you purchase a professional mat. A professional mat is essentially a walk-off mat; the type of mat that is commonplace in areas where germs are an issue; such as at a hospital. You can pick one up at your local janitorial supply store, and they are usually made of olefin or nylon and have a vinyl back as well as a vinyl or rubber turf. They are also available in a multitude of different colors and types so you don't need to worry about finding one that won't work well with your home's dimensions. We would also recommend that you purchase one for the interior of your home as well as one for the exterior. Just ensure that both are at least 4 strides long. 1. Minimize how many times windows and doors are opened. Opening access points to your home increases the amount of dirt that comes into your home. By keeping windows closed when practicable you can reduce the amount of dust in the home. 2. Vacuum your home at least once a week. Dust and dirt in your carpet eventually works its way into the air to settle on your furniture. 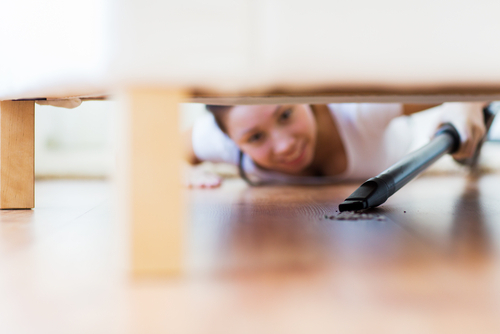 Vacuuming is an easy way to get rid of the dirt before it becomes dust. 3. Get rid of your carpet. Vacuuming is helpful but it will never remove all the dirt and dust that carpet holds. It is simply amazing how much dirt is "permanently" inside of carpet. In fact, all the dust and dirt in the carpet for a normal size room would, if piled together, create a mound an inch or so high. Even when you think your carpet is clean, it isn't. In fact, many allergy sufferers simply can't have carpet in their home for this reason. Replacing your carpet with hardwood or tile will greatly reduce amount of them. 4. Change your furnace filter. Your furnace filter has the job of removing dust floating around in the air. Plus, changing the filter helps your furnace last longer. 5. Change bedding weekly. This one makes many people cringe. 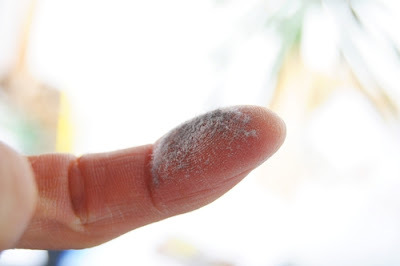 One of dust's primary components are dead skin cells. Humans are constantly shedding skin cells and areas where we spend lots of time have high concentrations of these cells. And your bed would be one of these places. Gently roll the sheets up when changing them to prevent the cells from escaping into the air. 6. When dusting, use a tool that captures the dust. Feather dusters and dry clothes don't eliminate dust they simply move it around. 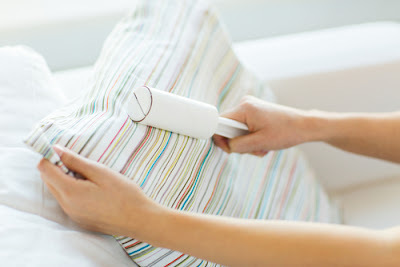 Instead use something that captures the dust like a Swiffer or use polish on a cloth. The entry of dust into the house and getting deposited on a variety of objects is responsible for the dirt and dust that accumulates inside the house. These are so small in size that stopping their entry is almost impossible for most of us. Therefore, a dust proof house is one which is made or arranged in such a way that there is minimal entry of dust particles inside the house. This justifies the idiom that prevention is better than cure. It is wiser for people to make arrangements in such a way that there is no accumulation of dust rather than allowing the dust to settle in and then going about the substantial process of cleaning. For those who like to have large windows for good air circulation, dust might be a possibility along with the air. The simplest thing that one can do is to decorate the house with things that do not catch dust and other particles easily. One such ingredient in the house that is prone for dust settlement is a small ornament. The more ornaments in the houses, the more you will have cleaning to worry about. Taking care of these objects is a very time-consuming job and so much time goes missing from routine cleaning due to this. Air purifiers cut down on the dust particles that enter along with air. The floors and walls should be as smooth as possible. Wall paints come out in different forms which provide a smooth coating on the wall surface. This doesn't let particles get deposited. In any case, if dust is found such paints allow smooth removal of the dust by a simple wiping action. Similarly the floors should have tiles and hard wood, so that the dust does not remain off in the crevices. If your house has carpets all around, then the chance of dust sticking in the carpet fibres and hairs is very high. Removing these dust particles is not only a headache for you, but also for the maid service providers. Additionally, steam cleaning these will incur further expenditure. Using hard wooden floors and tiles is therefore more economical as they last longer than carpets on the floor. If you want to have perfect cleaning of the home, then you should ask the cleaning agencies to vacuum the house during the carrying out of the cleaning services. You should have a good quality vacuum cleaner in your home. Keeping fabrics like upholstery is also to be kept to a minimum. The use of dehumidifiers is a great help in removing humidity from the air, as the presence of humidity collects more dust. The mattresses should be regularly changed and cleaned, especially if there are children sleeping on them. Pets are another worry for people under the list of things to be kept clean. You can do it all by yourself or ask a competent cleaning agency to take care of such things.